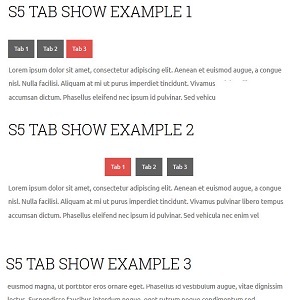 The S5 Tab Show will display up to 20 widgets in various styles within sliding tabs, and is compatible with responsive sites. 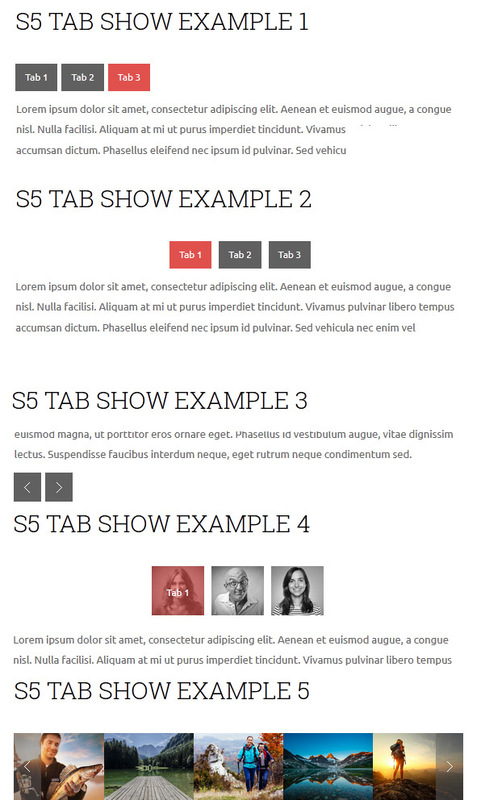 Simply publish the S5 Tab Show widget to your desired position and pages. Then start publishing widgets to the positions in the Tab Show (s5_tab1, s5_tab2, etc); these widgets will become the slides. This is a great way to organize and showcase your site's content or images. Version 3 of this widget is incredibly powerful, below is a list of all of its features.